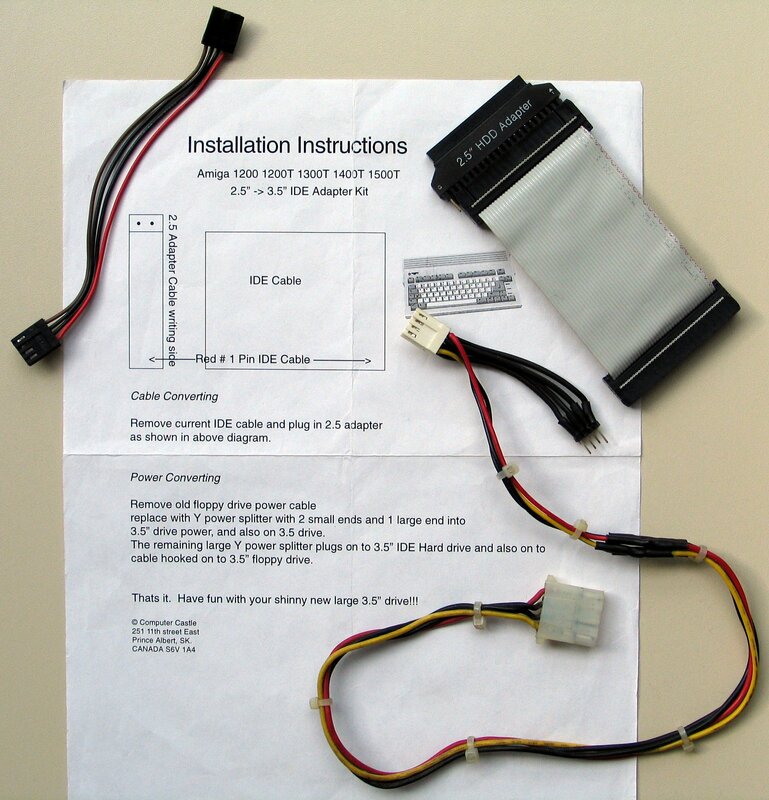 This kit lets you attach 3.5" IDE hard disks to the internal 2.5" IDE port of the A1200 (and probably the A600) with ease. You basically remove the power cable to the floppy drive and replace it with the power splitter. 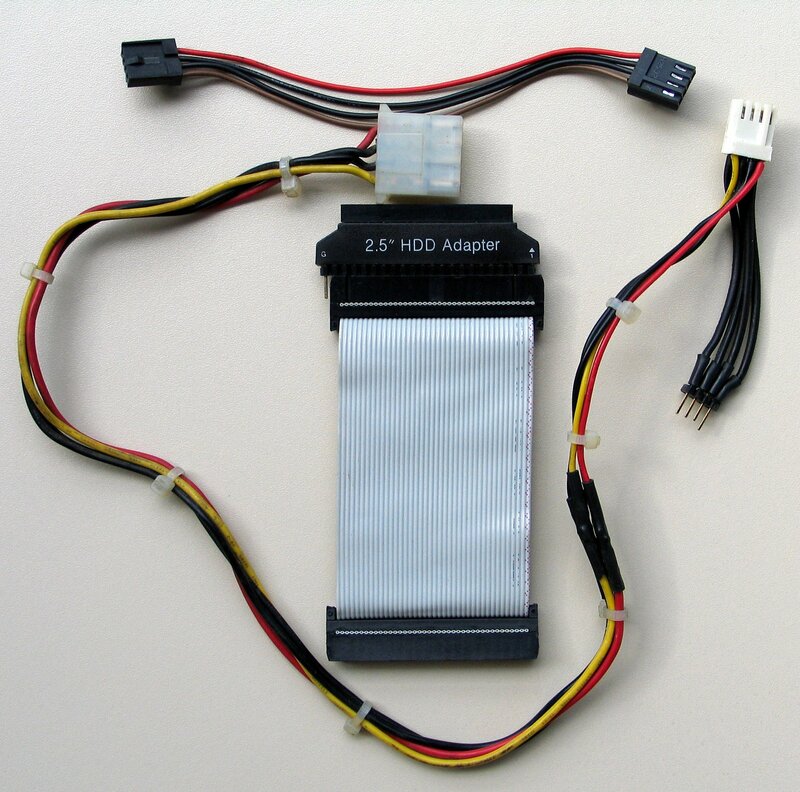 This provides power for both the floppy drive and a 3.5" IDE hard drive. 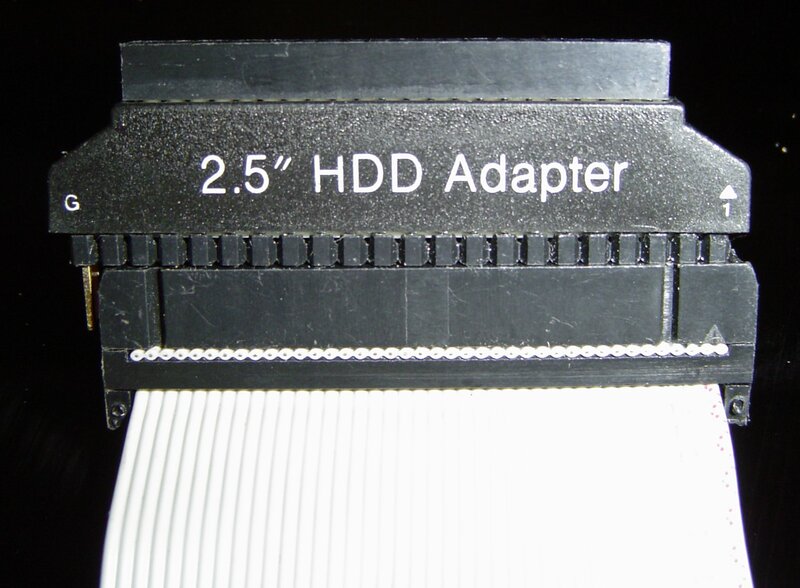 A special 3.5" to 2.5" IDE cable is supplied which connects from the hard drive to the motherboard.